If you're looking for an original decoration that will entertain your guests at your next football party, try this inflatable punch bag referee. Features a ref throwing a penalty flag on one side and the ref calling a touch down on the other, and has a weighted bottom. Will pop right back up when hit. 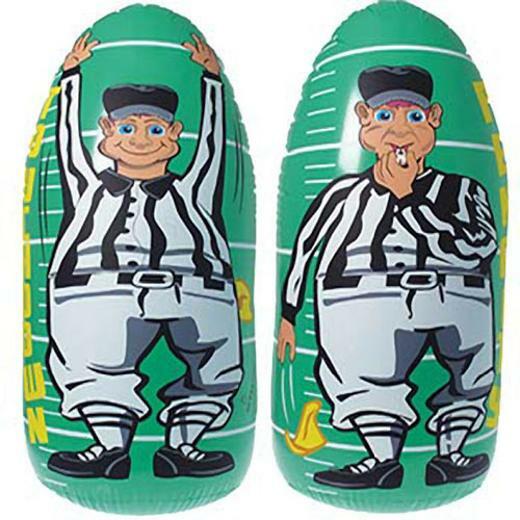 Guests will love to work out their frustrations on this inflate at the bad calls your team is getting. A fun and enjoyable activity for children and adults alike. L: 8.3 in. W: 3.0 in. H: 8.2 in.